The ‘house that fried chicken built’ is ready to elevate the Filipino taste to unchartered territories. FAMILY AFFAIR. The team that spearheaded Max’s Group Inc.’s global expansion. 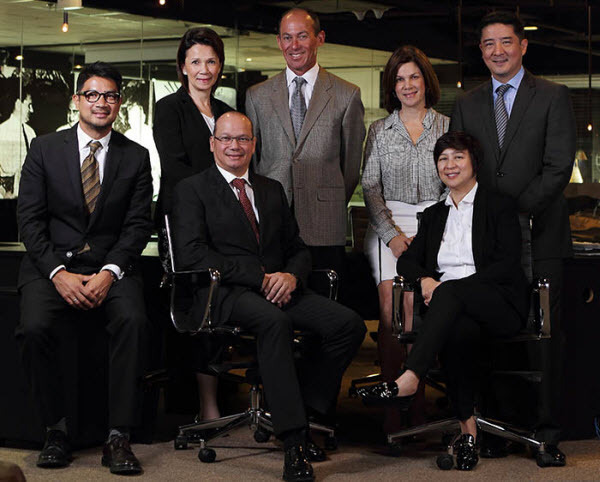 From left: Jim T. Fuentebella (Director and Chief Marketing Officer); Cristina Garcia (Director); Robert F. (President & CEO); Bill Rodgers (Director for International) ; Carolyn Salud (Treasurer); Sharon T. Fuentebella (Chairperson) and Dave T. Fuentebella (Director & Chief Finance Officer). It could have been a disaster, but years of hard work, training and experience prepared the third generation of Fuentebellas and Trotas for what has been dubbed the “deal of the century,” when their company, the Max’s Group, acquired Pancake House in 2013, totaling their store network to half a thousand. As loaded as all that sounded was the work they had to pour in the last two years to keep the company intact with a lot on their plate. In the June edition of Forbes Philippines, the Max’s heirs, Robert F. Trota (president and CEO); Jim T. Fuentebella (chief marketing officer); Dave Fuentebella (chief financial officer); William Rodgers (director); Sharon Fuentebella (chairperson); Cristina Garcia (treasurer); Carolyn Salud (director); and Jimmy T. Fuentebella (director for technical services) spearheaded the company’s wide scale expansion. Fortunately, 2016 has given them breathing room to at least watch what has been accomplished and see what can still be done. The “house that fried chicken built” is now ready to elevate the Filipino taste, this time in unchartered territories, one brand at a time. Jim Fuentebella considers his and his cousins’ early exposure to the business in their younger years as training for what they do now. They worked as busboys during summer time at the restaurants, even now president Robert Trota once helped in the inventory of chickens at their warehouse. “Growing up with Max’s, we look at it as a training. It sort of groomed us for what we needed to do,” Jim told Forbes Philippines. Still, others think they took over the company only because they are part of the family that built it. For Dave Fuentebella, the cousins were there from the start and like how stories of corporate success go, these guys worked their way up. “Their place in the business was not just given because they are family members. Each cousin has between 25 to 30 years of experience in the business. It was earned through hard work,” Dave added. WORLDWIDE EXPANSION. For 2016, the company is setting aside half a billion pesos for its store expansion of around 60 to 70, with a long-term goal of 200 international stores in five years’ time. With such in-depth knowhow, the team was more than ready to take on the challenge of mergers, and they were ready to commit to what has to be done, even the painful ones. Like how all acquisitions go, the company had to endure costly closings to keep it on track especially with a bigger portfolio (13 brands) under its name. Since 2014, at least 50 branches closed shop, mostly from Pancake House group. This meant setting up clear organizational roles for each member of the group to reduce chances of conflict. Operations are overseen by Trota, Sharon, and Salud while Dave, Jim, and Garcia handle shared services. However, the group is aware that developing new people in line is important for a company as big as theirs, may they be fellow family members or other professionals. 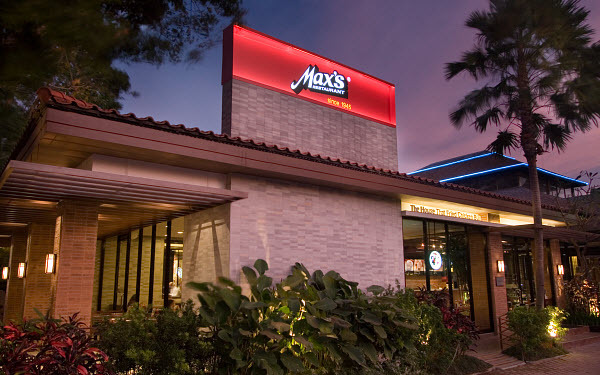 While the Max’s Group opened its first overseas branch of Max’s Restaurant in 1982, its expansion abroad was slow and was not given attention to until recently. The group’s acquisition of Pancake House gave it leverage to explore other brands, with a beefed up capacity. For 2016, the company is setting aside half a billion pesos ($10.74 billion) for its store expansion of around 60 to 70, with a long-term goal of 200 international stores in five years’ time. This means a total of 1000 stores here and abroad by 2020. “With brands like Yellow Cab, Pancake House, and Teriyaki Boy, these are really global brands that just happen to be run by a Filipino company,” Trota said. The goal is ambitious, the work heavy, but the spirits remain high especially when excitement fills up the team with the challenges ahead.